Now Summer’s over and the cooler weather has arrived, laid back, carefree hair may need to be put on hold till Spring makes an appearance once again. Although Autumn is a beautiful season in Japan, unfortunately it can wreak havoc on your hair. Dry, Frizzy and Brittle hair can be put to waste with a little planning and follicle loving TLC. Want to know how? Read on for some tips on getting great Autumn /Winter hair. As does your skin, your hair relies on moisture to stay shiny and healthy. Washing your hair daily strips out natural oils your hair needs to stay healthy so try to push shampooing your hair back an extra day or two before you wash it and if you have oily hair, brush it more frequently to move the oil from the scalp area down toward the ends of the hair where it’s most needed. Rinsing your conditioner out with cooler water will aid in closing the cuticle, sealing in the moisture from your conditioner and leaving your hair with a smoother, shinier appearance. Hair serums can be used to combat Frizz flare ups and the use of an extremely moisturising hair mask, one a week can instantly replenish and restore dull, lifeless locks. To maintain the most natural appearance with colour and avoid obvious regrowth, you should not go more than two shades lighter or darker than your natural hair. 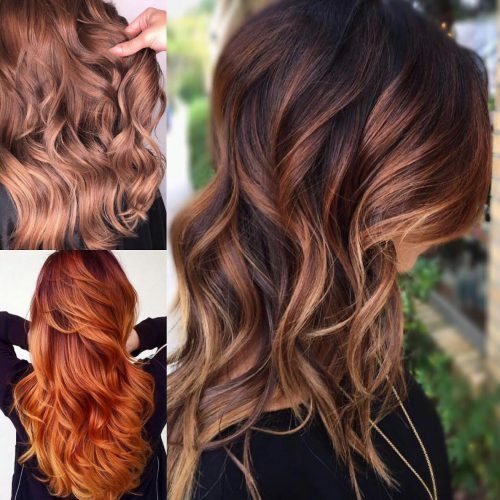 Having your stylist add some highlighting to accentuate and compliment your natural hair colour is another great way to achieve a low maintenance look that is not overly aggressive chemically to your hair’s condition. Hands down the easiest routine to follow to achieve healthier, more nourished hair is not related to anything any hairdresser or you yourself might apply or not apply to your hair but rather than what you put into your mouth. Practising good nutrition has an overwhelmingly large effect on how your hair grows and appears day to day. Protein rich foods like yoghurts, seeds and nuts, eggs, lean turkey and chicken can all assist in strengthening hair, while foods rich in Omega 3 essential fatty acids like salmon and other fish can boost shine and gloss.